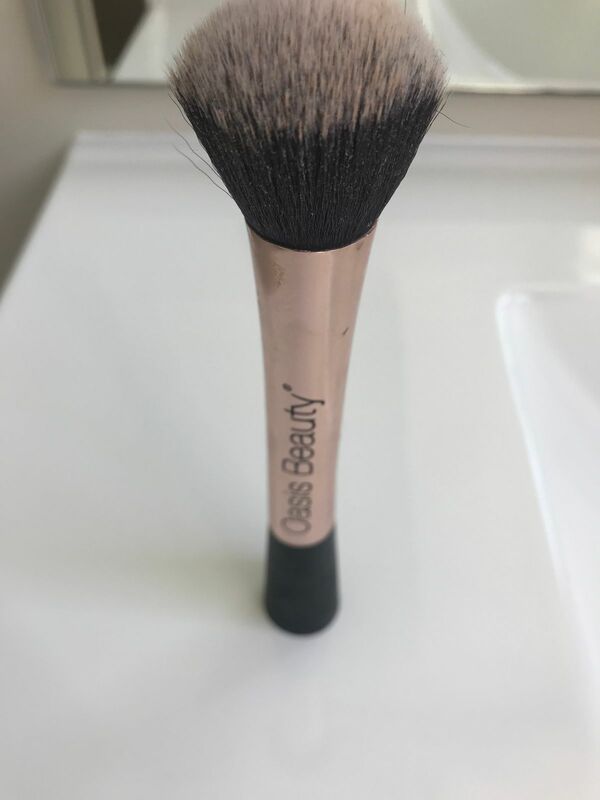 The Oasis BB Blending Brush creates a smooth, even and flawless finish when applying your Oasis BB Cream. It makes applying your BB Cream super quick and easy too, saving you time but making sure you get a great finish! Made specifically for and by Oasis Beauty we've made sure it can stand up! Who want's one that will fall over? Oh and it's vegan friendly too! Dip the BB Brush into a small amount of Oasis BB Cream. Start in the centre of your face, use gentle swirling motions to apply your BB Cream evenly. Don’t forget your inner eye area, gently blend onto your ears and into your hairline. We also recommend blending the BB Cream onto your neck. Looking for a great way to clean off that BB cream at the end of the day? Check out our cleansers. To get the best out of your BB Blending Brush, make sure you rinse it after every use. Rinsing under lukewarm water to get most of the product out is enough for daily washing but you will need to give it a decent wash once a week to banish bacteria and goodness knows what else! When rinsing your BB Brush, avoid the part where the handle meets the head as this can loosen glue over time. My fingers used to be my applicator of choice, then I tried sponges. I thought I'd give this brush a try and it trumps both. It's mess free, glides smoothly over the skin and evenly distributes the bb cream for a flawless finish. Excellent brush to use with the BB cream. Blends the cream really well and creates good coverage. This brush is amazing, stands up and blends your BB cream / foundation so nicely with no loose bristles. A must have!